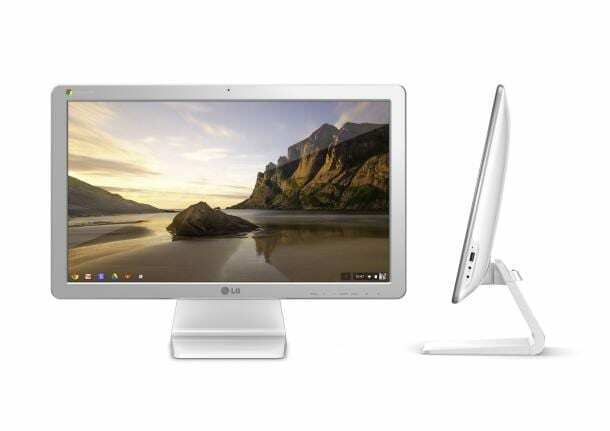 LG’s Chromebase – What’s It Worth? So, as CES is in full swing this week, the Chromebook news has been a bit, well, sparse. In all, there have only been 2 devices that made an official showing: the Toshiba Chromebook and LG’s Chromebase. Both of these devices have been detailed around the internet for some time, but this is the first time anyone has really spent some time with them. And this is the last sticking point when it comes to getting a feel for whether or not this device will actually have any market impact: price. Honestly, price has a ton to do with most people’s decisions on Chrome OS in general. Becasue, let’s be honest, Chromebooks are still limited in a few ways. For many things, there are workarounds, but for others we Chromebook toting folks are left in the cold for now. With these limits, it makes sense that low price is absolutely key to the success of Chrome OS devices for now. For instance, if the Samsung Chromebook were $499, would you consider buying it? If so, what keeps you from purchasing a Pixel? Most would respond, “The price, obviously.” to the latter question. And until the Chromebook becomes a complete PC replacement, it will be difficult to sell higher cost Chromebooks. So, what would this Chromebase be worth to you? Is $500 reasonable? The Chromebase seems to have a great screen and can also be your PC’s main monitor, so technically you could boot whichever OS you’d like. As a standalone device, though, how much is too much when we are talking market value? I, for one, would like to see this come in between $350 and $500. I have no idea if it is realistic, but I’d like to think so. For libraries and classrooms, this could be a great public computer for so many different applications. If the price is right. I could see having this in my home office as the monitor for my Windows machine (yes, I have one that handles the 10% of things I can’t do yet in Chrome OS) so that for most things, I can simply use the OS loaded into the device itself. Chrome OS would surely look gorgeous on that display. Then, when the heavier stuff is needed, I just have to change the input for the screen. One reason to hope for the lower price is what we see in every pic: a corded keyboard, mouse, and plastic everywhere. If LG were aiming to create a more premium device, I’m sure we’d see Bluetooth peripherals, some aluminum, a larger SSD, and more RAM. My logic is that LG is really pushing to keep the price very competitive. This is speculative, of course, but the signs seem to point to the likelihood that this device will keep the low-price-wins strategy that has worked for others. That sounds pretty sweet. It’s just not absolutely necessary, which brings back the discussion of price. For these reasons, I believe the Chromebase will live or die on the price. As an affordable, Chrome OS toting second monitor, this thing could really be an awesome device. As an overpriced Chromebook chained to the desktop, it is highly likely to fail miserably. Here’s hoping LG has done it’s homework.